Size:12x18 inch, 2 Piece.Only placemat. Keep surfaces in your household safe from spills, stains, dripping and condensation. 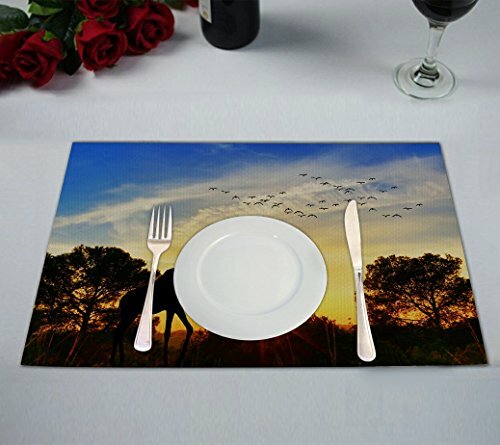 Stylish placemats would be a good decoration and life quatity of your home,dining hall, kitchen,hotel and business office. Linen Durable and stain resistant, Non-slip. If you have any questions about this product by PicaqiuXzzz, contact us by completing and submitting the form below. If you are looking for a specif part number, please include it with your message.